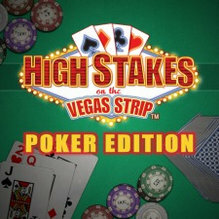 Here’s a pleasant surprise: after three years of being delisted and a failed Kickstarter to save it, developer Coresoft has brought High Stakes on the Vegas Strip: Poker Edition back from extinction! Delisted in May of 2014 — due to its use of GameSpy tech and the impending sale of publisher Sony Online Entertainment — Coresoft has managed to rework its online functionality and publish the new version of the game themselves. The game was originally released in North America and Europe but so far it has only returned for the former territory. It is once again available to buy for $9.99 on PlayStation 3 and upcoming free updates will add more game modes including No-limit Texas Hold’em, Limit Texas Hold’em, Super Hold’em, and more. Take a look at the updated game page for more details on this surprise relisting.